Our children are with four classroom teachers each day, but these teachers work collaboratively across the junior and senior year groups. In our St Margaret Mary block, we have an integrated learning space with technology hubs, reading corners, break out rooms, art areas and music space. This in an incredible modern facility for our senior learners. 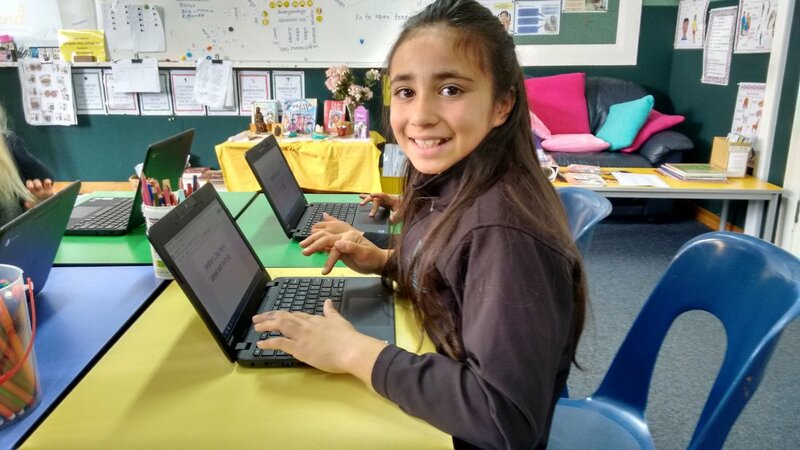 Our junior classes are collaboratively planned and taught in the St Mary MacKillop and St Lawrence rooms - large classrooms which buzz daily with a wealth of wonderful learning activities. ​Come and visit to see our learners in action. The school is an integral part of the parish and plays an active role in the weekly life of the church community. We run a school Mass in the church most weeks. Our parish is part of the Hamilton Diocese and Fr Lawrie Bishop is our parish priest. He is also a member of the St Patrick’s Catholic School Board of Trustees, along with two other nominated parish members. Children and their families are encouraged to participate in parish-based activities. Each term we have a school family Mass on a Sunday when everyone comes together in worship. Come and join us! Whether it's skiing on Mt Ruapehu, cross country running at Ongarue, camp at Lake Whakamaru or Auckland, or a spring walk through the Rangaroa Reserve, our teachers regularly take learning outside of the classroom, harnessing the opportunities these rich experiences have to offer.